ProCorp Shanghai Ltd. is a Shanghai-based company that specializes in the product development, OEM contract manufacturing, and sales and marketing of non-electric household hardlines for the international marketplace. Through fully integrated manufacturing and marketing, ProCorp seamlessly takes products from concept to market and sells them in North America and Europe. Our unique capabilities, sourcing, and quality control processes support the proprietary product development for a number of major houseware brands. 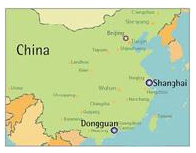 ProCorp Shanghai Ltd. is headquartered in Shanghai with affiliated offices in Dongguan. Our international partners benefit from our business expertise, reputation, and aggregate buying power. We create an ethical business environment with our business partners and the multiple factories we work with. Our business partnerships ensure shipment reliability as well as the technical and production capacity needed to deliver the best price and quality.